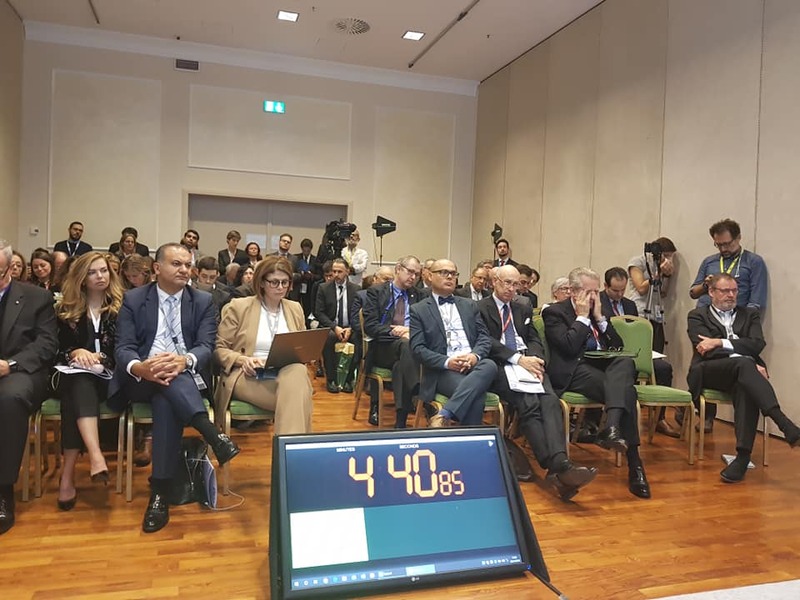 MED – MEDITERRANEAN DIALOGUES is the annual high-level initiative promoted by the Italian Ministry of Foreign Affairs and International Cooperation and ISPI (Italian Institute for International Political Studies) in Rome. 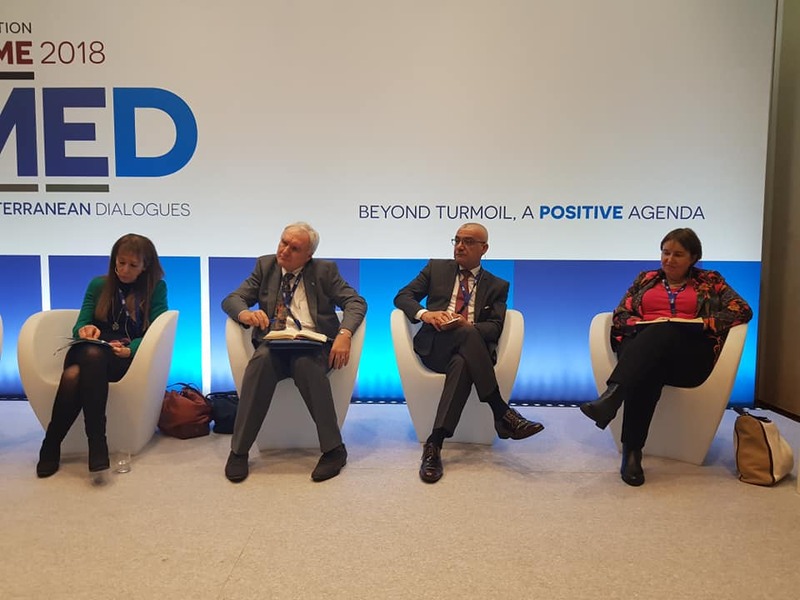 The event aims at drafting a “positive agenda” for the Mediterranean by stimulating debate and promoting new ideas, rethinking traditional approaches and addressing shared challenges at both the regional and the international level. Rome MED builds upon four pillars: Shared Prosperity, Shared Security, Migration, and Civil Society and Culture. 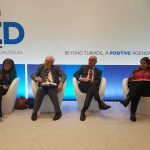 The 4th edition of the Mediterranean Dialogues (MED) 2018 took place from November 22 to November 24. 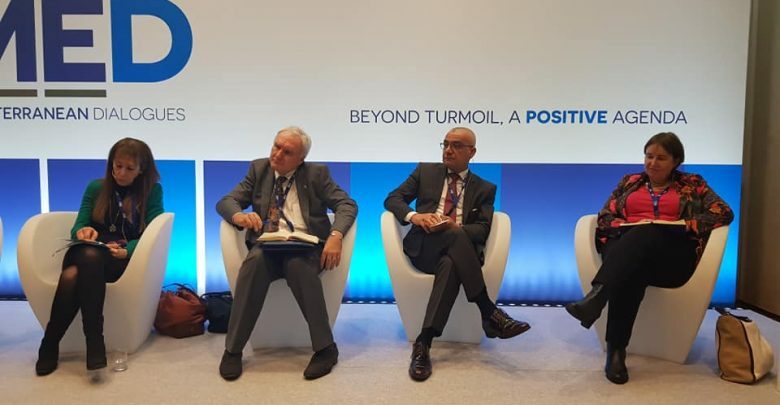 PalThink For Strategic Studies was invited to participate in this event and sharing its experience in contributing to peace and security in the region. 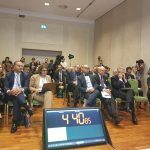 The event was introduced by their Excellencies; the Iraqi president Barham Salih and the Italian Prime Minister Giuseppe Conte. Also, important political figures from Jordan, Qatar, Iraq, Lebanon, Egypt, Libya, Palestine, and Iran. It is worth noting that, more than 80 think tanks and international institutions and more than 40 heads of state, ministers, and top representatives attended and participated in the discussion panels including John Rutherford Allen, President of Brookings Institution, Kim R. Holmes Executive Vice President, Heritage Foundation, and David Hale Under Secretary of State for Political Affairs, Department of State, USA. The event handled a myriad of issues relevant to the stakeholders in the Mediterranean. One of the most pressing issues in the region is migration, it was emphasized that there is no one country-no matter how powerful- that can face the migration issue by itself. “Crises such as Syria and Libya can only be solved through international law” said Mr. Lavrov Minister of Foreign Affairs of the Russian Federation. PalThink’s director Omar Shaban detailed PalThink’s holistic approach to promoting the culture of non-violence in resolving conflicts and disseminating tolerance and mutual understanding to pave the way towards a more prosperous and stable Palestinian society. Even though MED is about high-level dialogue on issues of shared interest in the Mediterranean, yet the Palestinian cause was not the focal point of the discussions. Nevertheless, some ideas were emphasized upon on the margins of the general dialogue. Regarding the situation in Gaza, the discussion panel was conducted with three speakers including PalThink’s director Omar Shaban, Sara Roy, a Senior from Harvard University, and Matthias Schmale Director of UNRWA in Gaza. 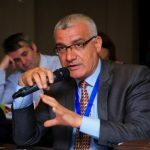 “Humanitarian aid cannot be a solution to a political problem” said PalThink’s director Omar Shaban. Other speakers also noted that Gaza is part and parcel of the Palestinian territory and that a national Palestinian reconciliation is relevant to the international and regional peace and stability.